우산이 꽂혀 있는 칵테일과 어우러진 파인애플... 맥을 오래 사용한 분들에게 무척이나 낯익은 아이콘이죠? 맥에서 가장 대중적인 동영상 인코더로 손꼽히는 오픈소스 기반의 동영상 인코더 'Handbrake'가 정말 오랜만에 새 버전으로 판올림했습니다. 작년 5월에 0.9.9 버전이 나온지 장장 20개월여 만입니다. 이 외에도 아래 릴리스 노트에서 확인할 수 있듯이 내부적으로 수십여 가지의 개선 작업이 이뤄졌다고 합니다. 덕분에 인코딩 성능 역시 한층 업그레이드 되었다고 합니다. We are introducing several new encoders with this release and replacing others. is a hardware based H.264 encoder that is available on Intel CPUs. Currently, QSV is only supported on Windows but we hope to bring this to Linux users in the future. Thanks to the good people at Intel for making this possible! is now available through x265 1.4. While this encoder is still fairly new, we have seen some promising results come out of it. It's still under heavy active development and is only going to improve over time! 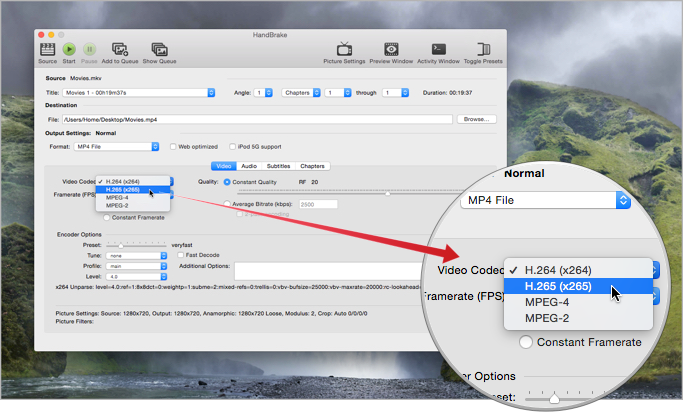 using the libvpx encoder. We have now deprecated Theora (VP3) in favour of VP8 which is a more modern encoder offering better quality encodes at lower file sizes. 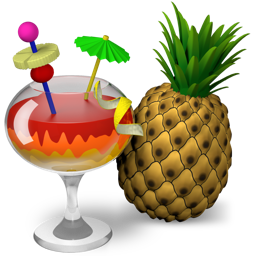 Has now officially been removed due to GPL compatibility issues, and replaced with the libav AAC encoder as the new default for Windows and Linux. In addition, we have added the FDK AAC encoder for Windows and Linux as a optional compile-time option. The Mac release will continue to use CoreAudio as the default. The new NLMeans filter offers much higher quality denoising. Our previous filter, hqdn3d, now accepts individual settings for each of the chroma channels (Cb, Cr). 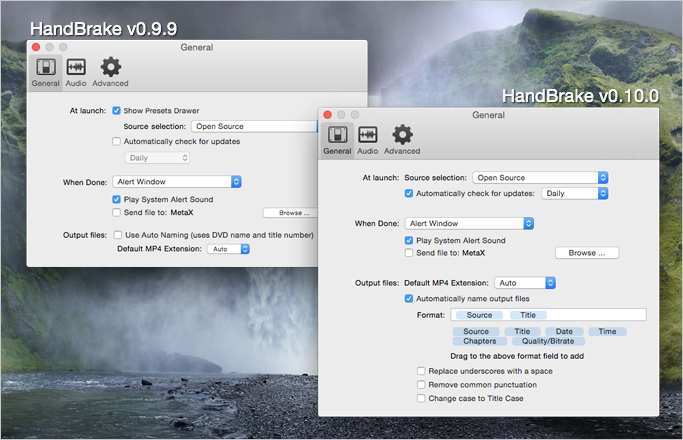 In addition to the default Lanczos scaling algorithm, HandBrake now offers BiCubic scaling on Windows via OpenCL. If the results prove positive, we may roll it out to other platforms in a future release. Thanks to the guys at AMD for building our OpenCL framework! A lot of work has been done to bring the user interfaces closer in terms of feature parity. We are now much closer than in any previous release. The audio and subtitle controls have been overhauled to support default behaviours which can be stored in presets. This simplifies the workflow for many batch encoding scenarios. 현재 HandBrake 구 버전을 사용하고 계신 분은 자체 업데이트 기능을 통해 새 버전을 설치할 수 있습니다. 신규 사용자도 공식 웹사이트를 통해 최신 버전을 상시 무료로 내려받을 수 있으니 참고하시기 바랍니다.